Those who have been following his series of mixtapes can testify that DJ GABA doesn't disappoint. He had u in mind when he made this too. 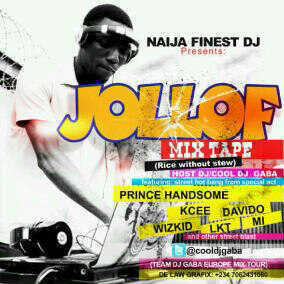 JOLLOF MIXTAPE II gets you rocking from start to stop and trust me, this is a mixtape you put on replay! DJ GABA intelligently combines club bangers to keep your speakers banging.